There are clear rules when it comes to what you should buy other people in this realm. Don’t do something insane and go for, say, a hot pink lipstick if you’ve never seen the recipient wear one. Steer clear of things that are too prosaic like shower gel unless specifically asked for or if buying the very fancy variety. 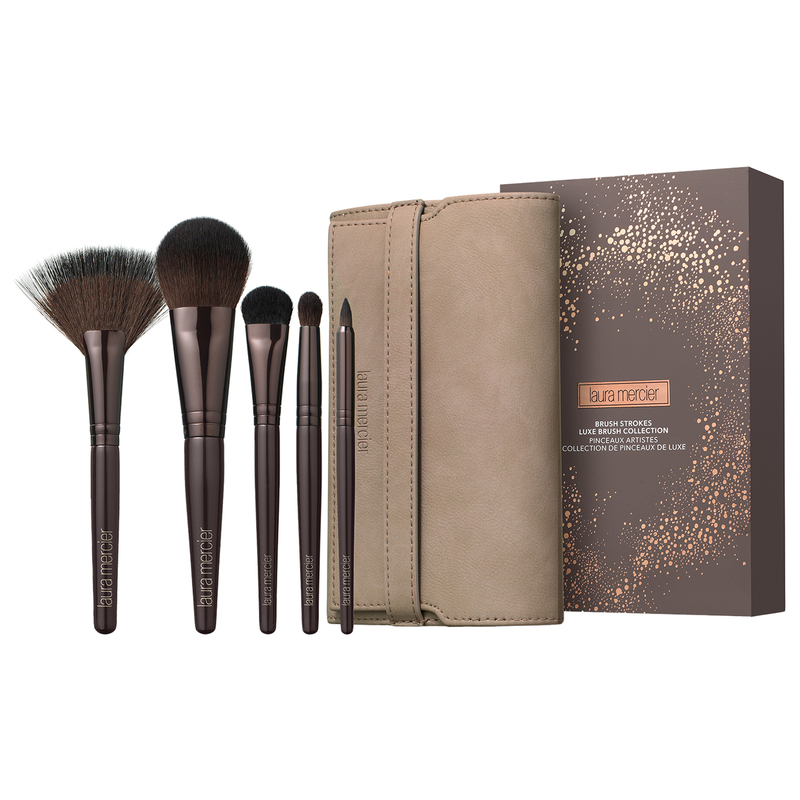 Laura Mercier Brush Strokes Collection: ideal for anyone who applies make-up with rubbish brushes. Nothing hampers make-up efforts more than poor tools. Between these five, the whole face is covered. By Terry Baum de Rose Duo Set: if you know someone who struggles with dry hands or dry lips, this is ideal – BDR is revered for hydrating and for its luxe, cosseting texture. Oskia Deluxe Travel Collection: five travel-sized Oskia classics housed in a nice cosmetics bag would please anyone who’s into skincare. BioEffect Skin Harmony Set: Bioeffect’s cult EGF day and night serums plus their new micellar water make this perfect for anyone concerned about premature ageing. Emma Hardie Glow On The Go: the SPF in this pack is one of my favourite SPFs, ever. It hydrates, leaves a lovely dew on the skin, and doesn’t clog pores. This pack also contains the much-loved mist. Perfumes / Go somewhere great for perfume like Liberty London and have a good sniff around. Great cult brands to bear in mind (please don’t buy someone some god awful sugary syrup perfume that’s endorsed by a celebrity – they are almost always awful): Frederic Malle, Serge Lutens, Jo Loves, Miller Harris, Penhaligon’s, Ex Idolo, and Creed. Candles / Always noteworthy are Cire Trvdon, Jo Malone London, Roja Dove (who makes the best Christmas candle going), Diptyque, Charles Farris, and Atelier Cologne, and I’d happily tell you to buy anything by any of them for your loved ones. 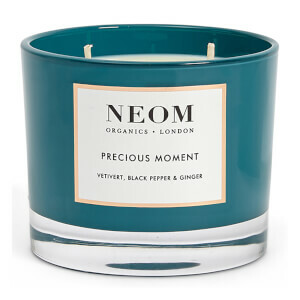 This year’s best Christmas edition, however, is Neom Precious Moment, which is a blend of vetiver, black pepper and ginger and smells like someone somewhere in your house has been cooking ginger bread men and brewing mulled wine. Get the three wick if it’s the main present. Stocking Fillers / My advice here is to go to Space NK and look at the lovely little minis they have there – you won’t struggle to find something. 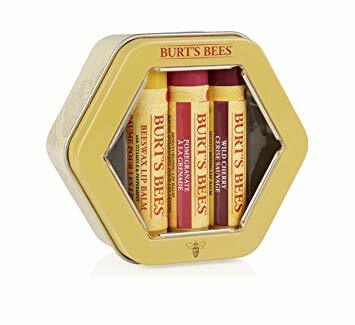 Alternatively, here are some ideas: An Aquis hair towel (amazing on those with long hair in particular as it absorbs plenty of water thus shortening drying time), By Terry Baume De Rose (a dinky version of the cult lip balm), Burt’s Bees Bounty Trio (three lip balms by the much-loved cruelty-free beeswax-based brand), and Nuxe Huile Prodigieuse (the original multi-use dry oil). 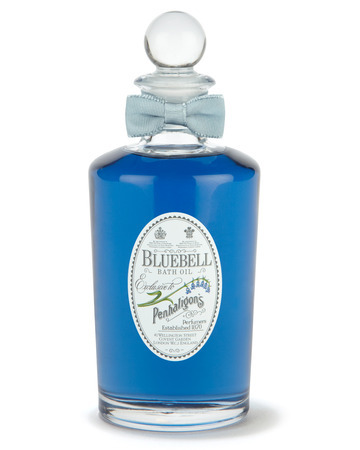 Wellbeing Bits / If you’re buying a bath oil, make it a Penhaligon’s or Aromatherapy Associates one. Also worth considering is Ila Apothecary, who make beautiful products including a multi-use SOS Body Balm. 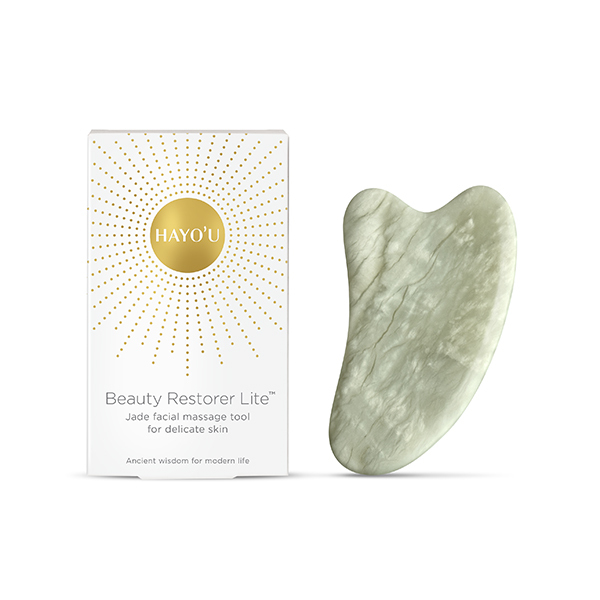 If you know someone who like a beauty ritual, get them a Hayo’u Method Jade Beauty Restorer, which can be used to massage tension out of the face and helps to reduce puffiness.